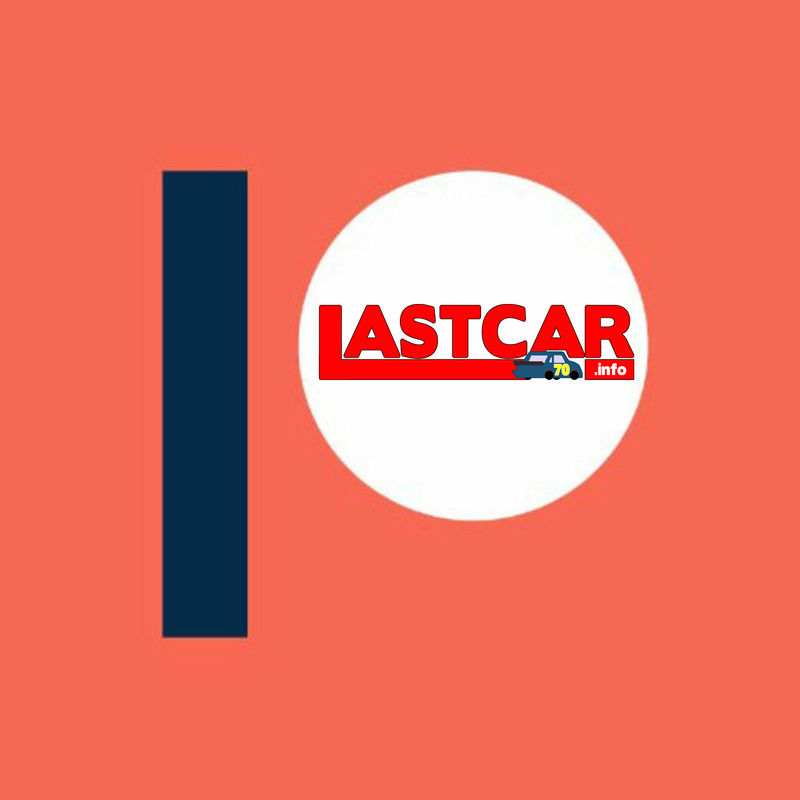 Big thanks to LASTCAR.info Guest Contributor William Soquet, who covered the last-place battle as I commuted to the Sonoma Raceway for Sunday’s IndyCar season finale. Erik Jones picked up the 3rd last-place finish of his Monster Energy NASCAR Cup Series career in Sunday’s South Point 400 at the Las Vegas Motor Speedway when his #20 DeWalt Toyota was involved in a two-car accident after he completed 147 of the race’s 272 laps. The finish, which occurred in Jones’ 66th series start, was his first of the year and first since last summer at Loudon, 44 races ago. In the Cup Series last-place rankings, it was the 29th for car #20, the 151st for Toyota, and the 573rd because of a crash. Across NASCAR’s top three series, it was the 47th for the #20, the 303rd for Toyota, and the 1,164th from a crash. 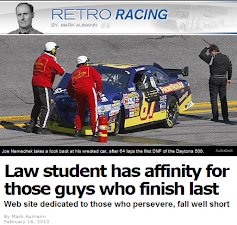 The promise Jones showed in his rookie Cup season driving a second car from Furniture Row Racing was realized this past July when the 22-year-old took the checkered flag in a wild Coke Zero Sugar 400 at Daytona. 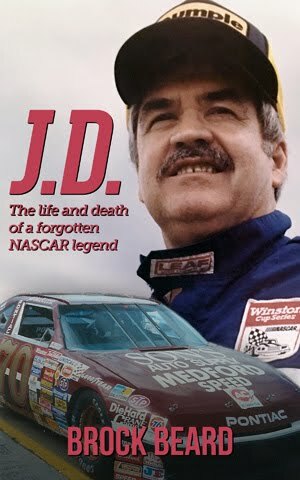 The win locked Jones into the Playoffs for the first time, and was followed by six top-ten finishes in the next eight races. 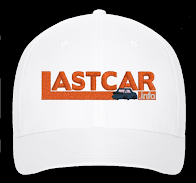 Just last Sunday at Indianapolis, Jones was running among the leaders on the final run to the checkers, where he slipped past teammate Denny Hamlin en route to a runner-up finish to Brad Keselowski. Jones kept the momentum going last week, storming into Las Vegas with the 4th-fastest lap in opening practice, and after turning the 8th-best lap in Round 1 of qualifying, paced both Rounds 2 and 3 to earn his second career pole, his first since last summer at Bristol. His official lap clocked in at 188.121mph (28.705 seconds). Only outside-polesitter Joey Logano joined him above the 188mph mark. Jones ran 6th in Saturday’s second practice, then led Happy Hour with his first of 42 laps clocked. For all intents and purposes, Jones looked like he was going to have a strong run in the first round of the Playoffs. On the other end of the field, the 40th spot belonged to Reed Sorenson, the only driver who didn’t turn a lap in Round 1. Sorenson was back in the unsponsored #7 Chevrolet which he piloted to a 28th-place run on Monday in Indianapolis. Joining him at the rear prior to the start were 38th-place starter B.J. McLeod for a new rear gear on the #51 Jacob Companies Ford, and 18th-place starter Austin Dillon’s for an unapproved body modification on his #3 DOWFROST Chevrolet. As William Soquet tweeted, when the race started, the 40th spot fell to Timmy Hill, whose #66 Rewards.com Toyota was one of two “throwback” schemes from Darlington (the other being Landon Cassill’s #00 StarCom Fiber Chevrolet). Hill lost touch with Sorenson, who opened up a two-second gap between the pair, and Hill was the first to lose a lap in the first 12 circuits. Hill went to the garage by Lap 48 with gear issues. By the 100-lap mark, Hill returned to action, 36 laps down. With the rest of the field still running and more than half the race left to run, the last-place battle remained up for grabs. It then appeared that Ty Dillon was headed to his second last-place run of the year and first since Kansas. Dillon brought out the race’s third caution on Lap 111 when the right-front tire blew in the tri-oval, sending his car hard into the outside wall. He managed to clear the “Crash Clock” and pulled into the garage for more repairs, having turned 119 laps. The crew then worked over the car, clearing metal from the right-front fender, tape-measuring the right-front, and putting on sticker tires. The team then inspected the ball joint, and Dillon got back in the seat when trouble broke out on the track. On Lap 148, heading into Turn 1, Kevin Harvick blew a right-front tire of his own, his #4 Mobil 1 Ford smashing the outside wall in Turn 1. Erik Jones, running some distance behind Harvick, was committed to the outside lane of the gradient-banked corner. Unable to avoid the wreck, Jones plowed into the back of Harvick, destroying the front of his machine. Both drivers climbed out unhurt, but Jones expressed his frustration by throwing a bag of ice his team had handed him during a pit stop. Jones, running behind Harvick at the time, was classified behind the #4. Back in the garage, Ty Dillon and crew pieced the #13 together, though they had taken last from Hill on Lap 159. Five circuits later on Lap 164, Dillon returned to the track, 45 laps down. For much of the rest of the race, the crew debated about if, and for how long, the car would run. A bottom-five finish would earn them no more points than they already had. 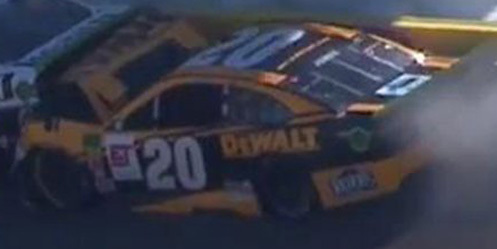 But on Lap 193, Dillon passed both Jones and Harvick, dropping the #20 to last. The #13 spotter and crew remained mindful of other teams running at the back of the field, trying to determine how many more spots could be gained. They ended up 34th, earning three points instead of one. Accidents plagued the final stage of Sunday’s race, many of them from further tire failures. The 38th spot, however, went to Bubba Wallace, whose #43 World Wide Technology Chevrolet suffered a right-front hub failure that caused a fire behind the wheel, forcing him behind the wall. William Byron ended up 37th after his #24 Axalta Chevrolet failed to clear the “Crash Clock” after banging the Turn 3 fence. Rounding out the group was Playoff contender Chase Elliott, whose #9 NAPA Auto Parts Chevrolet was collected by a spinning Jamie McMurray on Lap 212. When the dust settled, the Top 20 featured a number of drivers and teams in much need of a strong finish. Regan Smith’s second drive in place of a recovering Kasey Kahne put the Leavine Family Racing team’s #95 Procore Chevrolet in the 12th spot, the team’s best run since the Daytona night race. Trevor Bayne, though confirmed not to be in the #6 next year, earned a 13th-place finish, his third top-twenty finish in his last four starts, and his second lead-lap run in a row. Corey LaJoie ran 16th after thinking he’d only be able to race for 32nd on Twitter, not only LaJoie’s best run of the year but the best for TriStar since Texas. 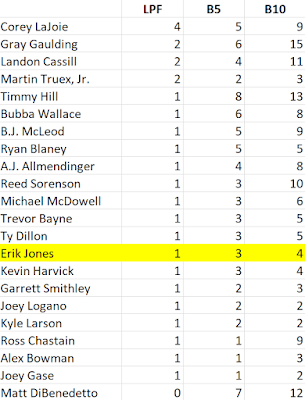 J.J. Yeley ran 17th in only the third race since Bob Jenkins bought BK Racing, giving the #23 Toyota its best run of the year, and Yeley his best run since 2015 at Talladega. Landon Cassill’s Darlington “throwback” placed 18th at the finish, last on the lead lap for StarCom Racing’s season-best finish, improving on a 20th-place showing at Bristol. It’s also the best-ever finish for Derrike Cope’s start-up team, which was first hit the track less than a year ago. Rounding out the Top 20 was Ross Chastain, who completed a tremendous triple-header at Las Vegas. One day after earning his first XFINITY Series win by dominating Saturday’s DC Solar 300 and two days after piloting Premium Motorsports’ unsponsored #15 Chevrolet to a 7th-place run in the Truck Series race, Chastain finished 20th in the #15 Xchange of America Chevrolet. It is the second-best finish for the #15 team in 2018 behind Chastain’s 18th-place run in Texas. *This marked the first last-place finish for car #20 in a Cup race since February 26, 2017, when Matt Kenseth’s own turn in the #20 DeWalt Toyota ended when he crashed after 103 laps of the Daytona 500. It’s also the second last-place run for the #20 in a Cup race at Las Vegas, following Tony Stewart’s wreck on March 2, 2008. *Jones completed the second-most laps of any Cup Series last-placer at Las Vegas, just three fewer than Hut Stricklin’s 150 laps turned on March 1, 1998. Curiously, that day was the inaugural Cup race held at Las Vegas, and Sunday was the inaugural fall race at the track. 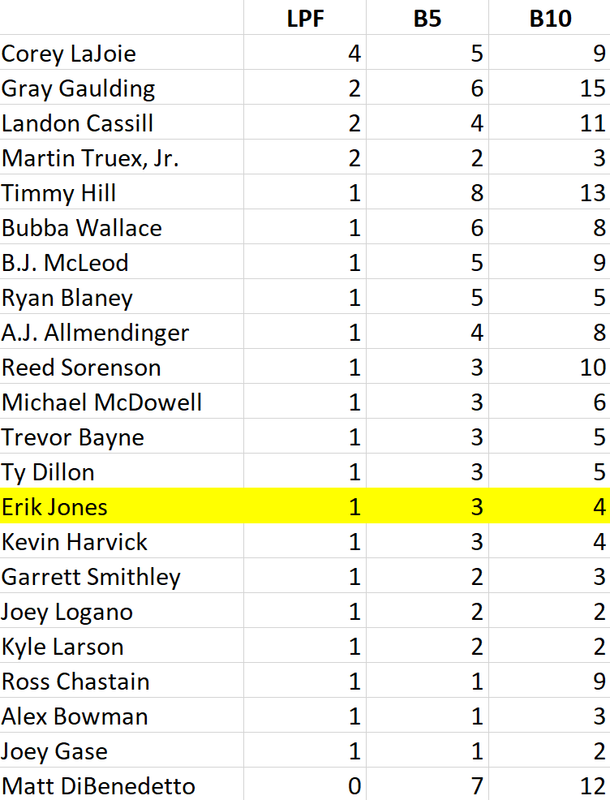 *Jones is the first polesitter to ever finish last in a Cup Series race at Las Vegas. He’s the first polesitter to finish last in a Cup race since October 23, 2016, when Martin Truex, Jr. lost an engine at Talladega. A correction: Trevor Bayne's 13th-place run was his best since Bristol in August, where he ran 11th. The article states that this run was his best since Texas in the spring.